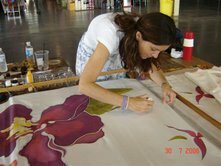 This is at the Canadian International Artisit program with creative studios working on 5 yards of my soul. This was a very nice saree designed and produced at the show. These sarees are designed by commission. 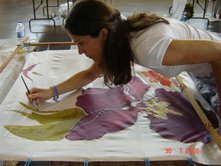 I create designs for fabrics, silk scarves, Wall and floor coverings, Contract and Apparel textiles, and decorative fabrics. 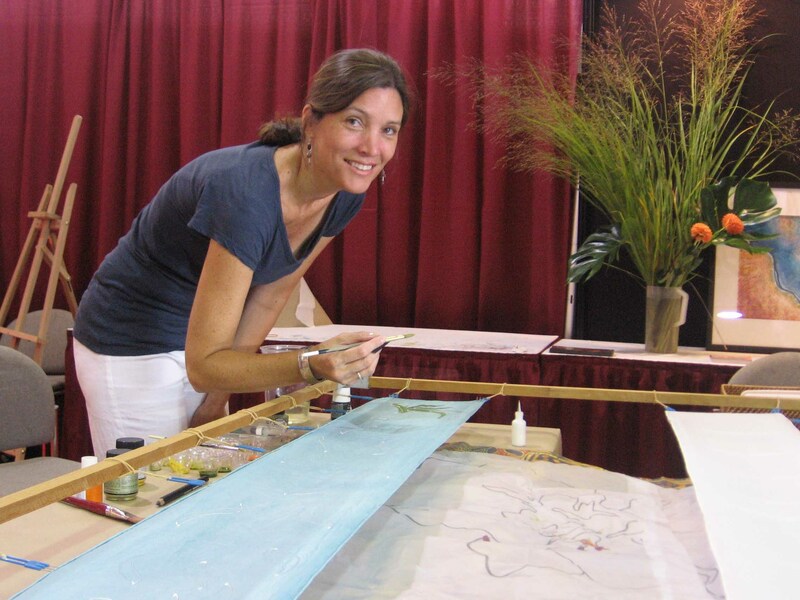 Create some beautiful silk panels for your spa. Murals for your childs bedroom.